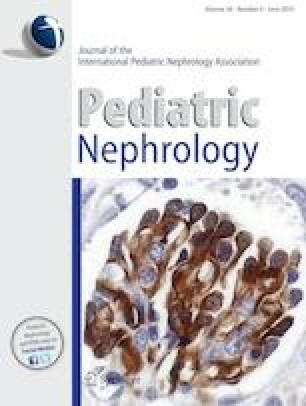 Most validations of paediatric glomerular filtration rate (GFR) estimating equations using standardized creatinine (CR) and cystatin C (CYS) assays have comprised relatively small cohorts, which makes accuracy across subgroups of GFR, age, body mass index (BMI) and gender uncertain. To overcome this, a large cohort of children referred for GFR determination has been established from several European medical centres. Three thousand four hundred eight measurements of GFR (mGFR) using plasma clearance of exogenous substances were performed in 2218 children aged 2–17 years. Validated equations included Schwartz-2009CR/2012CR/CYS/CR+CYS, FASCR/CYS/CR+CYS, LMRCR, Schwartz-LyonCR, BergCYS, CAPACYS, CKD-EPICYS, AndersenCR+CYS and arithmetic means of the best single-marker equations in explorative analysis. Five metrics were used to compare the performance of the GFR equations: bias, precision and three accuracy measures including the percentage of GFR estimates (eGFR) within ± 10% (P10) and ± 30% (P30) of mGFR. Three of the cystatin C equations, BergCYS, CAPACYS and CKD-EPICYS, exhibited low bias and generally satisfactory accuracy across all levels of mGFR; CKD-EPICYS had more stable performance across gender than the two other equations. Among creatinine equations, Schwartz-LyonCR had the best performance but was inaccurate at mGFR < 30 mL/min/1.73 m2 and in underweight patients. Arithmetic means of the best creatinine and cystatin C equations above improved bias compared to the existing composite creatinine+cystatin C equations. The present study strongly suggests that cystatin C should be the primary biomarker of choice when estimating GFR in children with decreased GFR. Arithmetic means of well-performing single-marker equations improve accuracy further at most mGFR levels and have practical advantages compared to composite equations. The online version of this article ( https://doi.org/10.1007/s00467-018-4185-y) contains supplementary material, which is available to authorized users. All procedures performed in studies involving human participants were in accordance with the ethical standards of the institutional and/or national research committee and with the World Medical Association Declaration of Helsinki of 1975, as revised in 2000. For this type of retrospective study, all extracted data were fully anonymous without any personal information, why informed consent was not required according to the regional ethical board approval in, Lund, Sweden, which approved the study.